Surely pursuing the largest acquirer is in your best interests as they will be able to afford a premium for the company? While they may be able to pay a premium for the company, they may not necessarily do so. 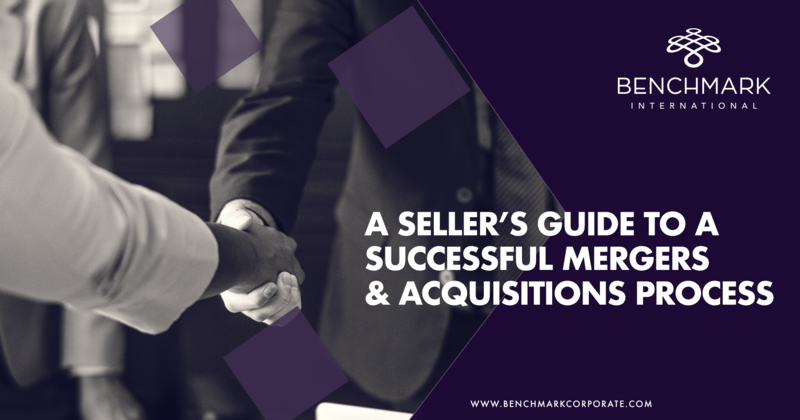 An acquirer is likely to pay a premium for your company because there are synergies in place such as similar markets, products or customers that could be combined, but a large acquirer typically does not need to make the acquisition to enter these markets. An acquisitive party could also benefit from economies of scale and, therefore, will pay more for the target, but a large acquirer is unlikely to benefit from this. Even if a large acquirer is willing to pay a premium, they may absorb operations into their own company, which can cause complications for the handover, particularly if you are loyal to existing staff. How Benchmark International Can Help: Look at all aspects of the deal and how it can benefit your company. Benchmark International can assist with sourcing the best fit for your company. You’ve just received an offer from a potential acquirer – on the surface of it, it looks good, surpassing your expectations. However, the structure of the deal as a whole needs to be considered, not just the total value. For example, the consideration could be deferred, or contingent on future earnings, meaning you are not receiving all cash upon completion. It is also important that if you do decide on a structured deal, that these elements are protected, ensuring you receive the consideration. How Benchmark International Can Help: Benchmark International will thoroughly analyse all offers received, negotiate earn-out protections and can assess any contingent targets to ensure that the seller is able to maximise the consideration received. It can certainly be a benefit to enter into the M&A process with potential acquirers in mind, perhaps one of these has even approached you at some point. However, even though it may be tempting to dive straight into a deal with an acquirer that wants you and complements your company perfectly, it is still vital to create competitive tension by generating interest from other potential acquirers. If the acquirer in mind can sense that they are the only one with an offer on the table and that you are anxious to sell to them, they could take advantage of this with a low offer. How Benchmark International Can Help: Benchmark International will employ an approach where all potential acquirers are approached and exhausted before accepting any offers. This may seem like an odd ‘mistake’ to make – why wouldn’t you want to use an M&A specialist operating specifically in your sector, surely you don’t want a generalist? The reasoning behind this is that a general M&A firm will be able to think outside the box and target a large pool of acquirers, not limiting itself to those just in your sector. How Benchmark International Can Help: Benchmark International has a vast and growing number of contacts giving you the best chances of receiving multiple offers, as well as significant experience across a broad number of sectors, leveraging this to identify the areas where the greatest synergies can be exploited. To obtain the best price and right fit for your company, it is crucial to enter the market at the right time. It is important to strike a balance between seeking to sell when the company is on a growth curve, but also not missing the window of opportunity in the market cycle. Equally, it is important not to sell when you become desperate (e.g. you are looking at retiring soon) as acquirers could become aware of this and lower their offer accordingly. M&A transactions can be time consuming, but it is important not to let it get in the way of running the business. If an acquirer is interested in the business because profits are increasing, or a new product is due to be released to the market, for example, and this does not come into fruition because you have taken your eye off the ball, then this could lead a buyer to renegotiate, or call the whole deal off. 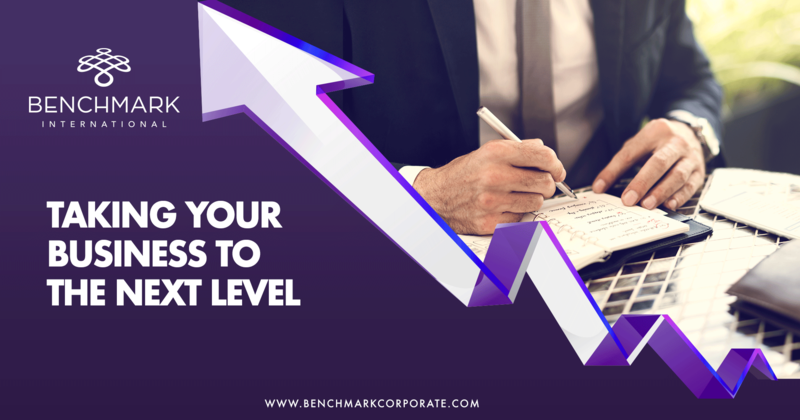 How Benchmark International Can Help: The pressure of selling your business can be alleviated by Benchmark International as it will handle negotiations, leaving you to focus on running your company. Offers may go back and forth between yourself and the potential acquirer and at this point you are in a good position to negotiate. It is not until the Letter of Intent (LoI) is signed that the advantage swings to the buyer. Although the LoI is not typically legally binding it does usually stipulate a period where the seller cannot pursue further leads in the market (an exclusivity period), so competitive tension is lost. It is important, therefore, that you are completely happy with the terms (which can include such things as price, length of the exclusivity period etc.) before the LoI is signed to avoid either having to back out of a deal that could have been lucrative or being tied to a lengthy exclusivity period. How Benchmark International Can Help: In all stages of negotiating, Benchmark International will do this on your behalf with your best interests in mind. The sale of a business owner’s business is a testing time and it requires the most talented teams in order to successfully consummate a transaction. As a business owner, it is very likely that you have already worked with legal representation that has assisted you through various legal processes such as the incorporation documents, customer/vendor contract negotiations, and other day to day and routine business transactions. 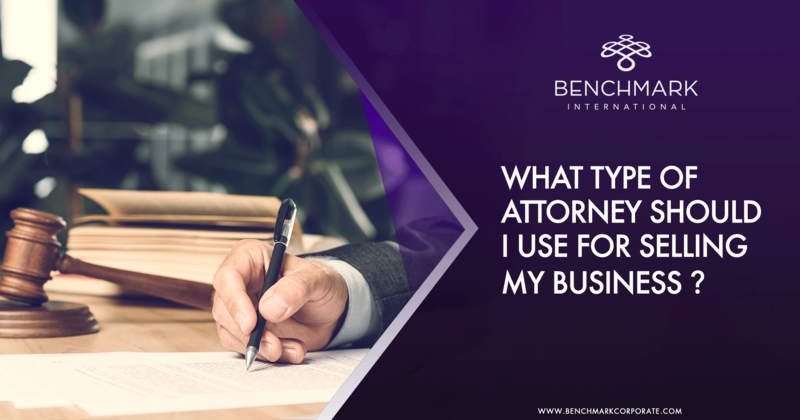 So, you may ask yourself ‘Why not use the same business attorney that I have been using already?’ While you may have been using this attorney for your business needs, he or she may not have technical experience that is required for your long-term protection. Given that many deals require the involvement of a seller post-closing, an attorney must be highly specialized and experienced to ensure that you have the proper protections at the time of sale. Having legal representation that specializes in M&A transactions is critical during the due diligence process. It is during the due diligence process that both the buyer and the seller’s teams begin formulating the definitive purchase agreement documents. When engaging an M&A attorney, it is important to understand the amount of experience the attorney has. M&A transactions tend to be much different than the aforementioned routine business dealings. A good indicator of an attorney’s experience is the amount of deals or transactions and attorney has worked on. The answer to this question will help a seller understand if this is a representative that can effectively represent him or her. The attorney’s legal team should not only be seasoned in M&A transactions but should also have expertise in specialty areas including but not limited to, tax, corporate finance, real estate, intellectual property, compensation and benefits, litigation, and employee matters. M&A transactions will involve complex deal structures, agreements and legal issues that are often argumentative and tasked to be completed quickly. Your lawyer must be a skilled advisor and negotiator that has the ability to work around imperative demands to keep the deal moving forward. Since each deal presents its own set of challenges, having representation that practices M&A transactions full-time is essential for being effective and time efficient when working with the opposing party. Our team at Benchmark International takes great consideration in ensuring our clients are backed by a strong and experienced team of advisors from accounting and wealth management to legal representation. If you would like assistance finding a specialist, Benchmark can arrange a no-cost, no-commitment meeting with experienced, specialized counselors appropriate to your budget, geography, and industry. These firms do not share fees with Benchmark, but in the past our clients have enjoyed tremendous success with each of the firms we would present. The art of starting a small business is a craft to which not every business person is well suited. It involves countless late nights, blood, sweat and tears, to turn an idea into a thriving small business. But, you’ve done that. You’ve successfully turned a one-bedroom or small machine shop, and spark of inspiration, into a community staple with a name that will outlast your time in business. But, you’ve also reached a point where your talents have been exhausted. And, you’re not sure what the next step is in taking your business to the next level. Once again you have an idea, but this time you need outside help to turn that vision into a reality. Many businesses reach this point at which they feel that they are unable to further increase the scope of their operations. They find themselves turning away business or not able to expand into new and lucrative markets. Perhaps, what is holding you back, it is a lack of cash on hand, or a deficit in managerial expertise. Whatever the reason, bringing on additional investors is a key, and proven strategy through which a business is capable of gaining an infusion of needed capital and knowledgeable partners capable of taking a company to the next level. Your passion is your business, and your clients have come to cherish your services. Bringing in new partners with an influx of capital is an excellent way for you to continue doing what you love while growing your company’s client base and expanding the services you offer. New partners may sound like dirty words you never thought you’d speak. You might think of new partners as greedy investors who will come in and milk your business dry without care for the name brand and quality you are known for. That’s not always the case, and that’s where we at Benchmark International come in. 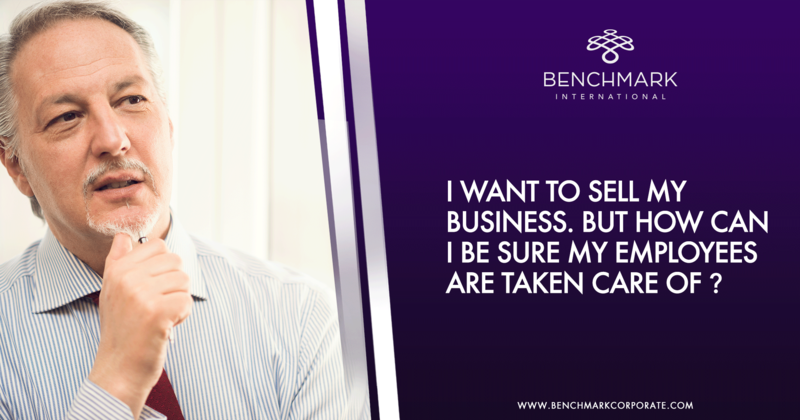 You can rest assured that Benchmark International will help you find new partners that care about your business as much as you do. Partners who can bring the capital and experience you need in order to keep your business growing and thriving. These new partners could bring in experience in managing larger organizations, or experience in advertising a small business to a new market, they might even have connections to customers who could grow your client base. 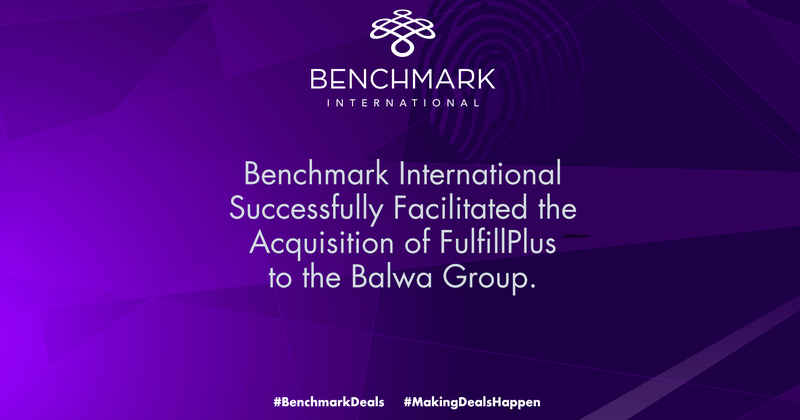 In engaging Benchmark International, you can expect our deal preparation and transaction teams to present your business to the market and find the perfect fit to take your business to the next level. First, our deal preparation team will delicately craft marketing materials which accurately reflect the successes of your business and its potential for growth. After your approval of the marketing materials, the deal transaction team will take over and bring your company to the market. Whether a trade buyer or a fellow competitor, the team will work tirelessly to find the right partner to help you grow your business. This will ensure, that you take your business to the next level, without losing the heart of the business you painstakingly grew from an idea into a name synonymous with quality. The process of staying onboard after a sale of your business or an injection of new capital is typically referred to as an elevator deal. For more information on how elevator deals function, please see. The due diligence process for an M&A transaction can be very cumbersome for all parties involved. The usage of a data room is one of the most valuable ways to mitigate the headaches that arise from the motions of due diligence. 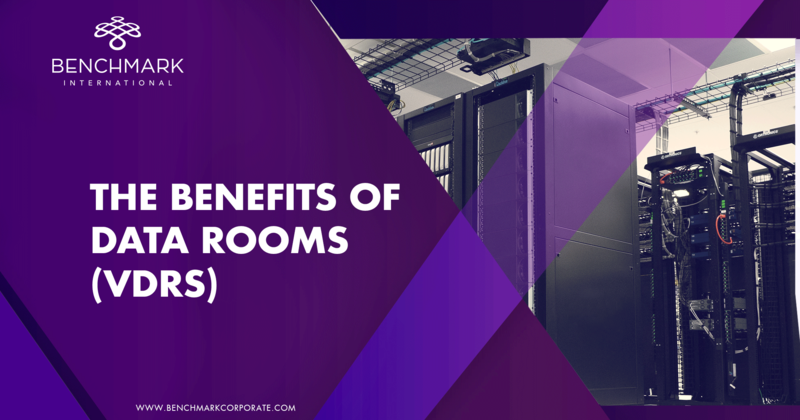 There are generally two types of data rooms: physical and virtual. The former is not the most practical in most larger scale transactions with moving parts in varying geographies. Thus, you will almost always see the usage of a virtual data room (VDR) in an M&A transaction. These VDRs provide organization and security for sellers, buyers, and advisors. Organization is probably the most easily identifiable benefit that VDRs provide. They provide a repository for all documents pertaining to the transaction. From a Phase 1 Environmental Site Assessment to the 2016 YE Income Statement to the buyer’s first draft of an Asset Purchase Agreement, it will reside in the data room. VDRs essentially eliminate the need to transmit documents through e-mail. When there are 10+ individuals across parties needing to review documents, e-mail transmission is not practical in terms of time or organization. Relying on e-mail may result in an organizational catastrophe, and many documents may quite simply be too large for e-mail transmission. Though it may be difficult to quantify in dollars, VDRs are undoubtedly a cost saver, particularly for sellers. Many intermediaries such as Benchmark International use and administrate VDRs for their sellers at no additional cost, whereas many transaction advisors focusing on the legal or financial aspects of a deal are likely to charge additional fees for the usage and administration of a VDR. Security is a highly underrated and less thought of benefit to using a VDR. E-mail isn’t the best vehicle to transmit sensitive employee information, tax data, or any other sensitive diligence documents. While we all will use e-mail frequently to communicate over the course of diligence, it should be a last resort for the transmission of sensitive data. One e-mail in the wrong hands could easily derail not just the transaction, but the going concern of the business. Professional VDRs are also more secure than free or low-cost cloud hosted repositories such as Dropbox, Google Drive, and OneDrive. These repositories are excellent for personal use or small B2B transmissions, but they don’t provide anywhere close to the same level of security as a VDR. VDR data centers provide physical security (people and cameras), backup servers and generators, and top of the line digital security by way of multi-layered firewalls and 256-bit encryption. Another security benefit of a VDR is the ability to layer. Layers or levels allow administrators to dictate which individuals or parties have visibility to certain documents. It’s quite possible that certain information will not be accessible until diligence milestones are met. Layering the data room helps provide accountability, but most importantly: security. There are countless other benefits, but these are some of the most crucial that impact all parties involved in an M&A transaction. 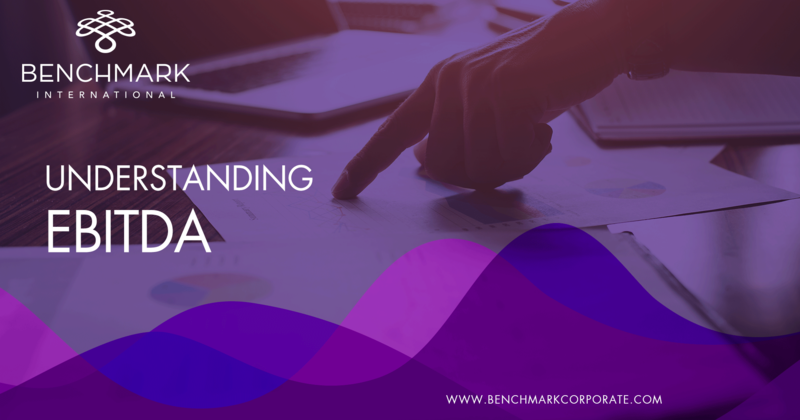 Benchmark International, through its vendor, provides a tailored VDR experience and service to all of its clients to help facilitate seamless due diligence processes and successful deal closings. 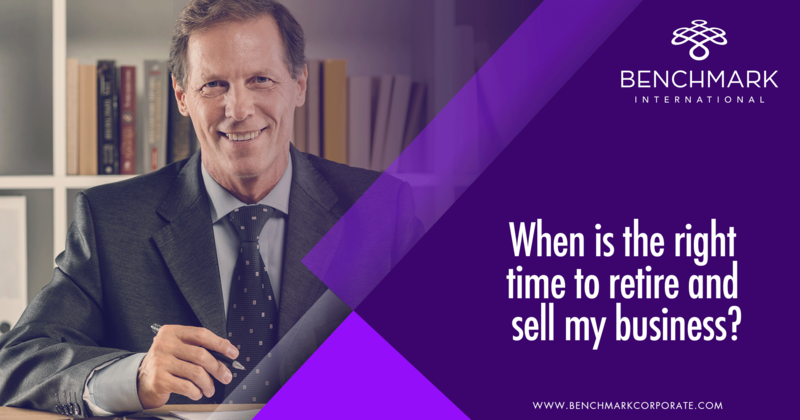 When Is The Right Time To Retire And Sell My Business? Over 88% of business owners think their business will stay in the family. In fact, only about 30% of family-owned businesses survive into the second generation, 12% are still viable into the third generation, and only about 3% of all family businesses operate into the fourth generation or beyond. As baby boomers are heading for retirement, who is going to take over the businesses the boomers are looking to sell? Today’s business owners are faced with multiple factors when deciding the right time to sell. The perfect time can be tricky to predict as several economic considerations need to be weighed. The majority of business owners begin this thought process when nearing retirement age, but is this too late? The most important considerations are current economic statistics, market conditions, and industry trends. These are good predictors of a sellers’ market and shows the types of buyers and private equity companies ready to invest. Buyers are looking for businesses in the growth and maturity stages of their business life cycles. During these stages, operational bottlenecks are becoming managed and demand, profits and lasting customer relationships have been built. Business owners sometimes have the tendency to postpone selling until operations and profits begin to decline. This is a costly mistake for any business owner wanting to maximize their company’s value. Sellers should strive to put aside personal feelings anchoring their decision-making process when considering their exit strategy. When considering selling, business owners should focus their attention on asking is my business in a financial incline, is my staff in place able to succeed without me, do I have a diversified client structure, and are my capital expenditures under control?Business owners need to consider these objectives now and determine if a sale is the right decision. Economic environments quickly change and in order to achieve a premium sales price, a favorable market is the key. Currently, multiples are at a historic high with limited quality businesses available for sale. Baby boomers are holding on to their businesses and aren’t willing to sell until they have to. This can be a hard-personal decision to make for owners who have built their companies from infancy. Owners are conflicted with their decision, asking did I do the right thing, did I maximize my company’s value, will my employees be taken care of, and what is next in my life.Before considering the sale of your business, define both the internal and external factors and remove any hidden traps that cloud your decision-making process and can result in missed opportunities. By having a written exit plan, an experienced team of advisors, and patience, business owners will realize the full value of their life’s work. 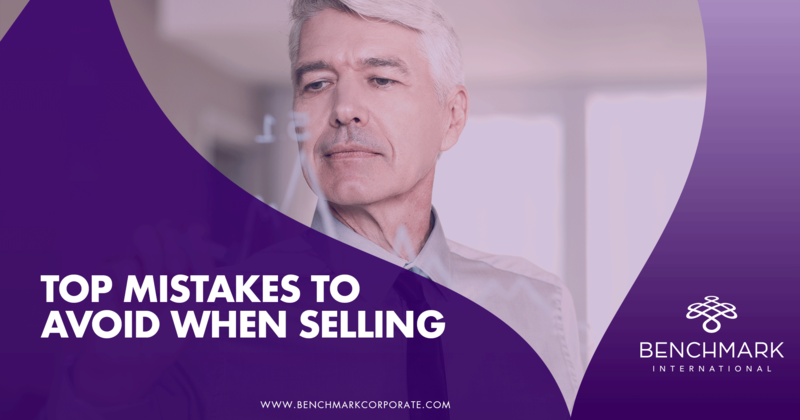 Here at Benchmark International, we understand the emotional and physical stress that accompanies the decision to sell. Our experienced advisors assist by providing an outside perspective to business owners and by identifying suitable conditions in the M&A sector. Our responsibility is to ensure our clients are presented with all the facts and strategies to move forward. Benchmark International values close relationships and ensures that our clients are fully prepared to make the right decision when the day comes.